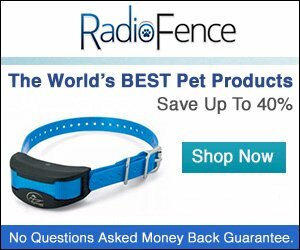 Protect Your Dog With a Wireless Fence! Keep Your Dog Safe Don’t Risk It! The other day when my wife got home from work, a big German Shepherd welcomed her on the driveway. She was talking to me on the phone so she immediately told me. Not knowing if the dog was friendly, she hesitated to get out of the car. I told her that someone was going around the neighborhood earlier looking for its owner, so I figured it probably got away again. Minutes later, a little boy showed up and said it was his dog. I wonder how many more times he got away that day. Any how, the parents of this little boy need to get their dog a wireless fence or else they might loose their dog. If you have a dog who likes to wander of or is an expert escape artist, you might consider getting a wireless fence to protect your little friend. Are You a Smart Dog Owner? Get Free Shipping! Are you a smart dog owner? Get free shipping when you spend $49.00 on supplies for your dog at Pet Smart. You are probably wondering, but “that’s a lot of money to spend”. Not really; I spend that kind of cash on my two dogs on a regular basis. Every time I go to the supermarket (just about) I end up going to the dog supplies section and picking up supplies for my dogs. I just can’t help it. I love my dogs! You probably do the same. So why not take advantage of this great deal from Pet Smart below. Hurry!